As a Buddhist, an album that takes inspiration from the ancient, mysterious and often misunderstood Tibetan sky burial intrigued me and I approached this review with interest. Italian trio ZU have been free of genre classification for twenty years, preferring to follow their own musical muse. This album could certainly be seen as a departure from what has gone before, but it certainly continues their tradition of treading their own path. They have in the past been masters of the collaboration and Jhator is no exception to that ideal. The sky burial is taken as the album’s starting point, the two lengthy tracks attempting to chronicle a journey from the earthly to the sacred realm. The band themselves put it this way; “In making this album we have tried to affirm life, beauty and mystery. We refocus the vision in another direction, far from the western point of view.” Sky burial is a practice whereby a human body is placed on a mountain top, to decompose while exposed to the elements, or to be devoured by animals and birds, especially birds of prey. In Tibet this practice is known as ‘Jhator’, or giving alms to the birds, indeed the vulture is seen as a sacred creature and is revered. They believe that the human body is but a discarded shell, the spirit already moved on to the next incarnation. To Western sensibilities this may appear callous or morbid, but within the spiritual and geographical context of Tibetan culture it would be the perfect fate for the body left behind. You can read further details of this practice Here, and it may be worth doing so before listening to the album as it helps put the first piece in a good context. The two pieces each clock in at over twenty minutes, the opening Jhator A Sky Burial having an ambient, almost beautiful feel at times, becoming more dramatic with cinematic sweeps which invoke images of the open vastness of Tibet. From the opening deep sound of a temple bell, the sounds of birds become ever more evident, changing to sound more like insects; the atmosphere is slowly created and built upon by synths before we are treated to the Hurdy Gurdy, which adds a solemn feel. This continues to build in intensity until at around eight minutes the mood changes, becoming more serene, almost dreamlike while it continues to evolve and change. Towards the end of the piece the music transcends into a joyful and happier theme which gives way to the temple bell and then fade. The sweeping, cinematic soundscapes, and otherworldly ambience of the piece appears to have captured the emotion and made sense of this unique act. The second track, The Dawning Moon of the Mind, draws inspiration from the ancient Egyptian text discussed in Susan Brind Morrow’s novel of the same name, also the Sufi poetry of Fri dud-Din Attar. It opens in a very different way to the previous one, here the delicate and precise notes of the Koto give an oriental feel of calm and peace. The sonic palette soon begins to change, creating a more unsettling feeling at times, increasing in intensity and becoming a little discordant, before we hear what sounds like distant chanting. This gives way to a slow and deliberate cello which is joined by a haunting vocal to provide a serene end to the piece. The contributors to these songs are listed in appearance order, as they are listed below this review. 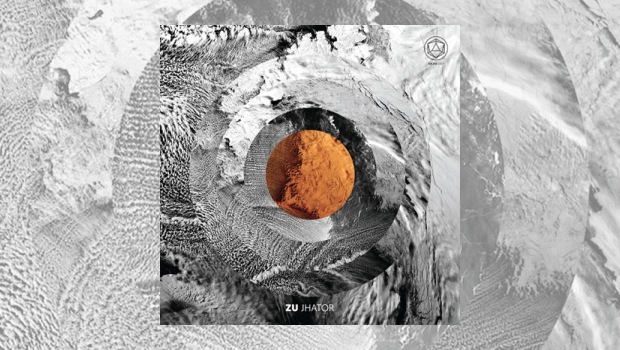 ZU have created a special and unique album, and appear to have fulfilled what they set out to achieve. The music has a flow and continuity throughout which does give the overall feel of the possible journey to the spiritual realms. This has clearly been a departure for ZU, but a departure that needs to be heard.